Stone murals can set a wall on fire. Beaumont Stoneworks can craft a beautiful custom stone mural for your fireplace, kitchen back splash or floor application. Or, choose an existing design and we will re-size and alter it to fit your specific need. We ship anywhere in the U.S.A. Your design is mounted on a backing board and ready for your tile or stone contractor to install. Call for a free estimate and let’s create something distinctive! 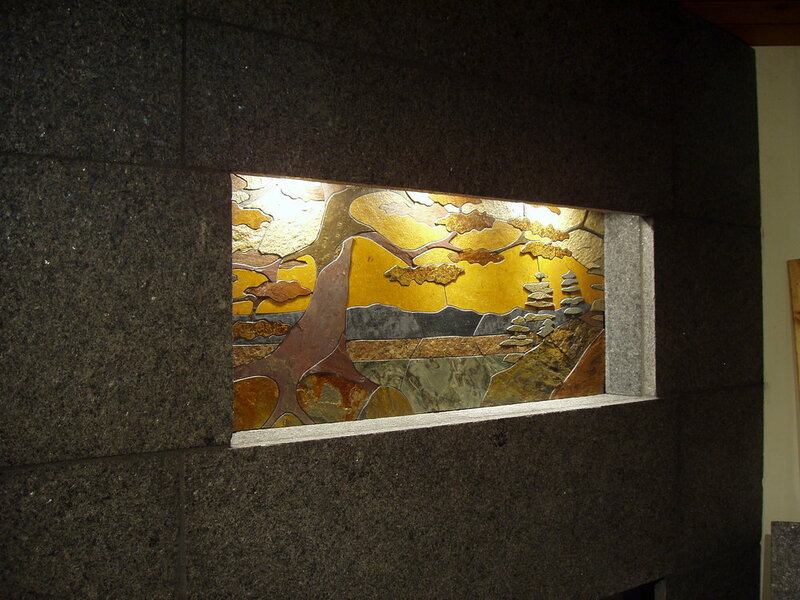 Here's a sampling of murals created by beaumont stoneworks. Got a quick question about murals? Ask away and we'll get back to you shortly!